Upon completion of the Medical Assistant program, CBT graduates are ready to seek employment in a variety of fields. From inpatient care to outpatient care, medical assistants can find employment in numerous healthcare organizations. With a reported expected growth rate of 29% according to the BLS, medical assistants are one of the fastest growing professions. While this offers you a highly favorable employment outlook, you should still begin preparing for future employment opportunities before graduation. After all, it is never too early to begin building your career! 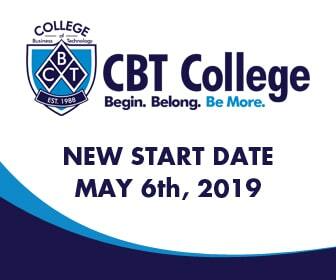 Although CBT’s Associate Medical Assistant Program is a 24-month, 72 credit hour degree-program, graduation often arrives sooner than expected. Although you may still be in school, there are still a number of things you do right now to improve your future career opportunities as a Medical Assistant. Here are a few of the most important. First and foremost, keep in mind that it is never too early to begin job searching. Because medical assistants can be employed by a number of different organizations, it also means that there are a lot of different types of jobs available to medical assistant graduates. Although these jobs are likely to require similar tasks, the environment in which you perform these tasks could be drastically different. If you’re looking for the best job match for your skill set and personality, it is in your best interest to begin researching your options sooner rather than later. Finding the right employment fit takes time, so avoid waiting until the last minute to start exploring. Once you have developed a better understanding of the type of organization you might want to work for after graduation, take some time to review your resume. Aim for your resume to be concise, descriptive and keyword rich. Many resumes today are first screened through virtual resume scanners, so you’ll want to include keywords or attributes of the position you are seeking and your skill set. In addition, be sure to include any additional relevant certifications you possess along with your work history. Getting your resume through the door is only one step of the process. Nearly any position as a medical assistant will require an interview, and that interview can mean the difference between a full-time position and a “we’ll get back to you”. Although you possess the right skills upon graduation, companies will still want to get a sense of who you are as a person and as a professional. Which is why it is so important to complete several mock interviews before graduation. Not only can this boost your confidence, it can also give you the communication skills necessary to excel during your interview. With CBT’s Job Placement Assistance Program, graduates from the School of Allied Health have access to the tools and resources they need to find employment opportunities after graduation. Providing resume-building services, interviewing techniques and advice from real professionals, CBT provides graduates with the resources they need to succeed. If you’re a recent graduate, feel free to learn more about our career services here. Or, if you’re interested in learning more about how to become a medical assistant, be sure to check out more about our program options here.